Senior Families, Please Contribute to the Senior Gift! 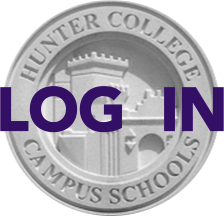 Dear Families of Seniors, It is a longstanding Hunter tradition that the senior class purchases a gift for the school, to honor their time at Hunter. Past gifts have included benches for the yard, furniture for the lounge, and funds directed to diversity activities. We can help our seniors decide on their gift by contributing now so that they know their budget. The suggested donation is $112 per family in honor of the Class of 2012. Of course, if you can give more, please feel free to do so, but know that any and all donations are welcome. Click the button to the right to make your donation. Send questions to 11-12rep@hunterpta.org. Thank you in advance for your gift! Your grade reps.